with the honeyed-metal piquancy of rain. “Calyptorhynchus funereus” first appeared in Cordite Poetry Review’s Monthly Poem Feature, August 2014. 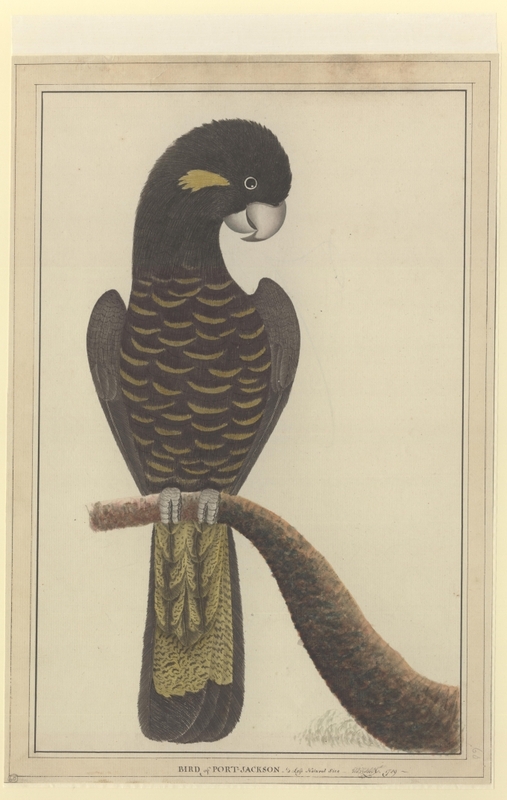 A painting by George Raper (1769-1797) Watercolour, 1789 from The Natural History Museum, London. Tags: Australia, birds, cockatoos, creativity, inspiration, life, poems, Poetry, publications, reading. Bookmark the permalink.